Illustration of how the Nike missile system was intended to work. (National Park Service). During the Cold War, New York City and its Harbor was ringed by an archipelago of military bases, arsenals and missile launch sites, locating tons of explosives and nuclear missiles close to America’s most populous city. 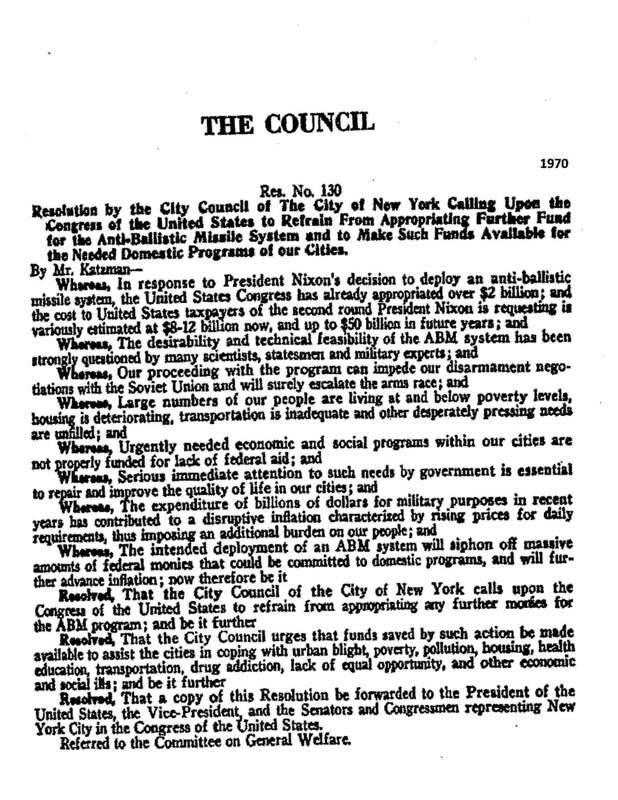 A January 1955 article in the New York Times reports that the first two Nike anti-aircraft guided missile batteries would be installed in February, and that eventually 20 to 30 sites would ring the city. 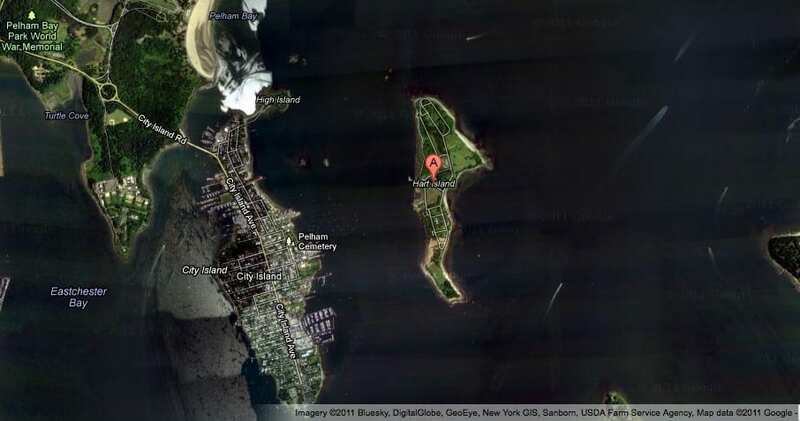 The first site was on Hart Island, a small island in Long Island Sound, which was also the site of a large potter’s field (a place to bury unclaimed bodies) and various mental, medical, and penal institutions. When the Soviet Union tested its first intercontinental ballistic missile in 1957, the US considered the missiles obsolete and the Hart Island base was abandoned. (Baldwin, 1955; Santora, 2003). An aerial view of Hart Island at the mouth of the Long Island Sound. The second missile site was at Fort Tilden, in Rockaway, Queens, where Nike Ajax Missiles had been deployed in the 1950s. These were replaced by Nike Hercules missiles, in 1959. Soon these anti-ballistic missiles, usually armed with nuclear warheads were deployed at 19 sites ringing New York City. The missiles were removed in 1974 following the negotiation of the 1972 SALT and Anti-Ballistic Missile Treaties. Several decommissioned bases surrounding New York, including three associated with missile defense, have been transformed into Gateway National Recreation Area, a ring of sea-side parks and reserves around the mouth of the Harbor. (National Park Service, 2015). By Matthew Bolton and Catherine Falzone, 2018. Adapted from Nuclear New York archive with permission.